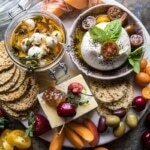 Say HEY to my newest holiday cheese fondue board! Like a lot of people, I love making a cheese board for holiday parties. They’re the perfect easy appetizer and they’re pretty much loved by all. This year though, I had the urge to try something slightly different. 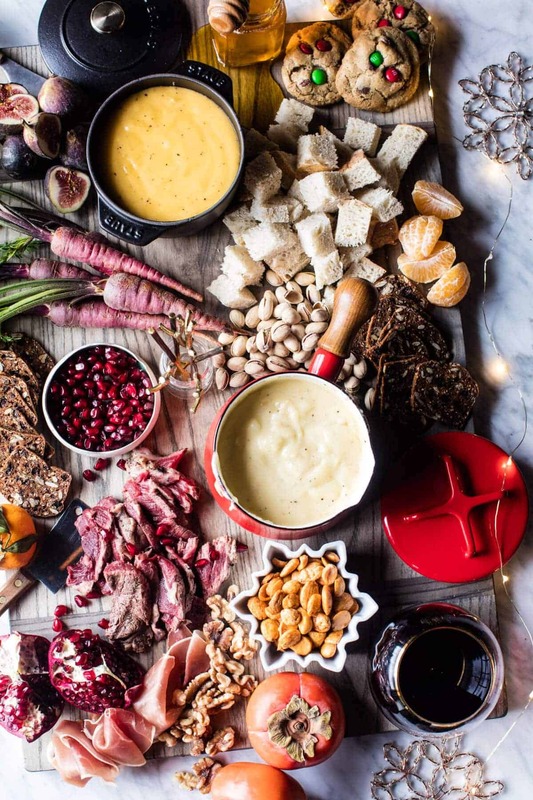 I mean, don’t get me wrong, a killer cheese board will always be on my go-to list, but this cheese fondue board is just a little bit fancier. It puts a fun new spin on a classic…it’s also perfect for holiday entertaining. Here’s the deal, I like to plan on making 2-3 different fondues for my board. I kept things pretty classic and went with a swiss, a cheddar and a blue cheese fondue. The blue cheese fondue didn’t make it onto the board you see here though. One, because I ran out of room on my board, and two, because it was gone before it even had a chance of making it onto the board…sorry/not sorry. Since I knew there was going to be A LOT of cheese fondue on my board. I split the cheddar in half and kept one half classic cheddar and the other half cheddar blue. Of course, you can certainly skip the blue cheese if you’re not a fan! I also think a goat cheese fondue would be simply amazing, just saying. 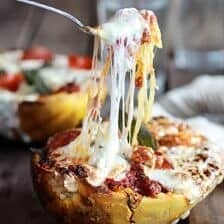 Really though you can be as creative as you like here and use YOUR favorite cheeses. Just be sure to put together cheeses that compliment each other. You don’t want one to be more overpowering than the other, there needs to be a good balance. Just like any good cheese board, this fondue cheese board needs lots and lots of accompaniments. Yup, I’m talking fresh bread, crackers, fruits, veggies, spreads, nuts and meats. 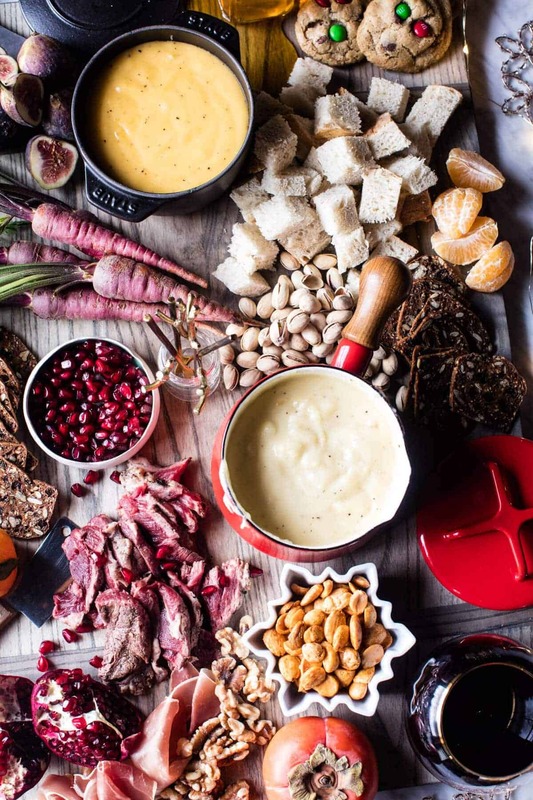 If you’re serving this for a holiday party, you can prepare the fondue in advance. Then just warm before serving to make things stress free. I ended up doing a fondue dinner with some thinly sliced steak, prosciutto, cubed bread, crackers, rainbow carrots, pomegranates, persimmons, figs and toasted nuts, it was perfection. The best part about this fondue board is that it feels so fancy, but it’s actually pretty easy to put together! Yes, please! I’m thinking that this would make the most perfect Christmas Eve or Christmas Day appetizer, I mean right? 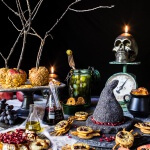 It’s festive, feeds a crowd, is delicious and is totally fit for a king – sounds pretty perfect to me! 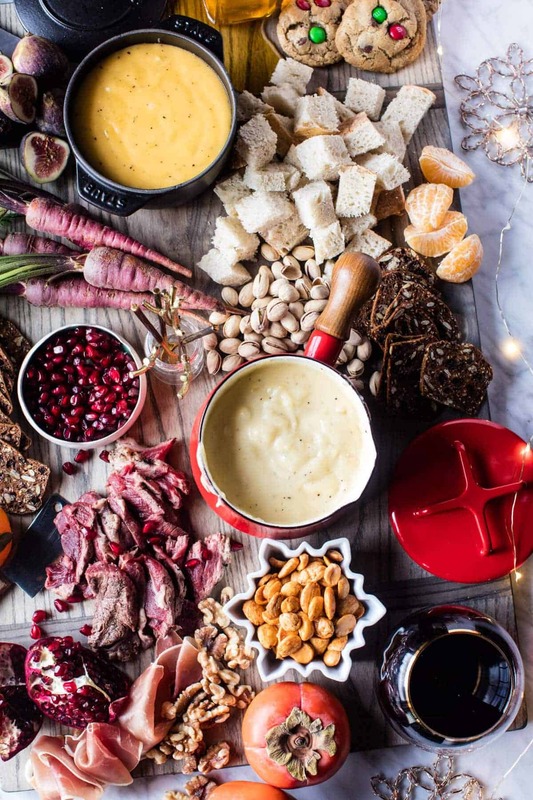 Plus, the members of my family are all major cheese lovers, so for our crew, this cheese fondue board is just kind of…mandatory. 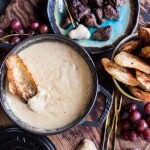 My cheese fondue is an easy way to feed a crowd! Add the cheese to a bowl and toss with the cornstarch. Rub the inside of a fondue pot with garlic; discard garlic. Pour the wine into the fondue pot, and place over medium-low heat. When liquid starts to bubble, start adding the cheese by the handful, stirring until melted and combined. Season with nutmeg, salt and pepper. Keep over low heat until ready to serve. Rub the inside of a fondue pot with garlic; discard garlic. Pour the beer into the fondue pot, and place over medium-low heat. When liquid starts to bubble, start adding the cheese by the handful, stirring until melted and combined. Stir in the mustard powder and season with salt and pepper. If using the blue cheese stir it in now until melted and smooth. Keep over low heat until ready to serve. Place the fondues on a large board or serving table. Arrange the breads, fruits, vegetables, meats, honey and nuts around the fondue pots. Serve. Smoky 3 Cheese Fondue with Toasted Garlic Buttered Croissants. 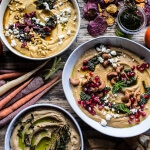 The Big Holiday Hummus Board with Roasted Root Veggie Chips. This isn’t fair!! This is making me saaaaad!!! It looks so good, so yummy, so delicious, so comforting! Like a fluffy warm blanket on a very cold day… I want this! I am so glad you like it, Ruth! Thank you! 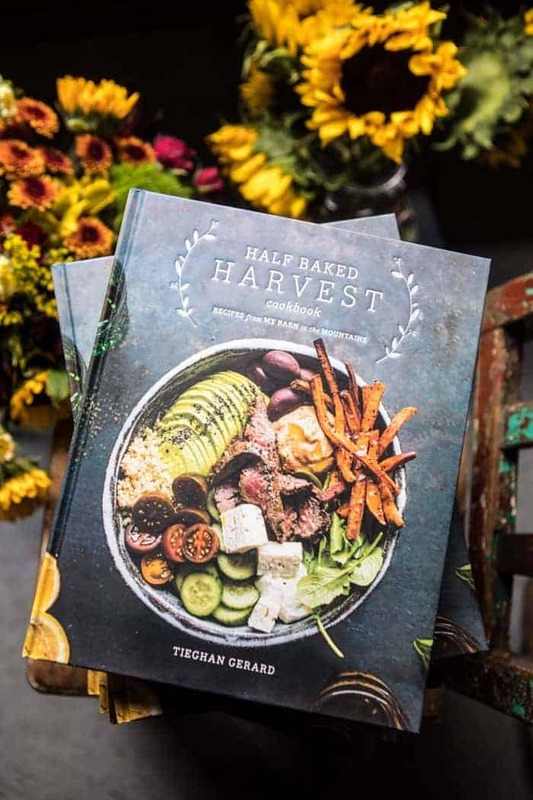 This looks incredible, and the photographs are so mouth-watering and beautiful, as always! Awh thank you so much Rhian!! drool-worthy as usual, lady!! fondue night is one of my favorite ways to do date night at home with my hubby. 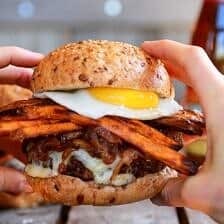 i love that you used cheddar! Hey ! Another perfect creation ! Thank you and have a pleasant day ! Thank you!! I hope you have a great day as well! Count me in! This is something I’ve gotta try for our holidays this year! Yay! I hope you love it, Tori! Thanks!! 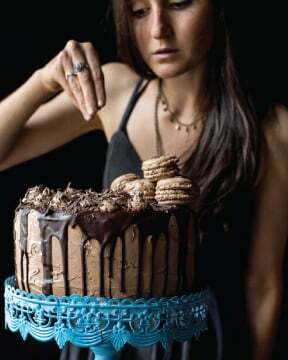 I would so like to make this but I can’t I would eat the whole thing. Haha I totally get that feeling! Thanks Nancy! That sounds like a perfect night!! Thanks so much Christine! i feel like cheese boards in general tend to have cold/cool things, so i love the idea of mixing in warm elements, especially for winter! and i see those cookies in the corner there ? Haha thank you Heather! And lol they are a must for winter!! Omg! Your cheeseboards a always look so mouthwatering. 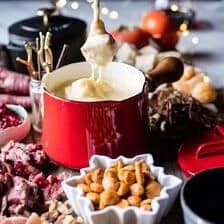 I love fondue and would love to be able to make it at home, especially for the holidays! Thank you so much Andrea!! It is great for the holidays! This looks AMAZING, I want to eat everything on the board! Thank you Rachael! So happy you are loving this!! That looks so fabulous! 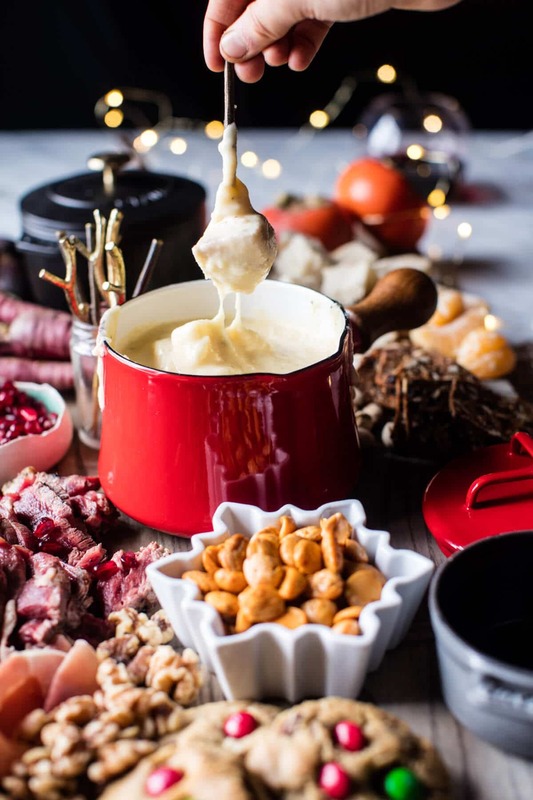 I love cheese fondue … and I was still looking for recipes for New Year’s, I think I may just have found what I was looking for 🙂 Question: would you tell me what brand the little red fondue pot is? 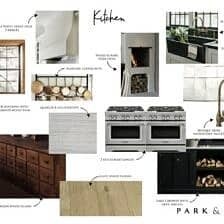 I’ve been seeing the design with the crosswise handles around a few times and I really like it, but haven’t been able to track it down. Thanks!! Let me know if you have questions, thanks! Haha yes!! Totally acceptable in my book! I hope you love this board, Erika! Thanks! Correct me if I’m wrong Tieghan, but the little red pot is made by Dansk. Thanks – I just googled it and you’re right! That’s a mystery solved for me. Thank you, Shelli! I’m one of those oddballs who HATE cheese, but my friends would love this. Sharing with them! I am such a sucker for fondue! In Switzerland you eat fondue only with bread. Nothing else. No boards with all kinds of things. 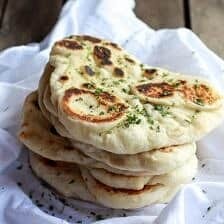 Just bread. So glad you liked it! Thanks Karla! So inspiring advice! I’ll do it for some of my dinners with friends. Thanks so much, hope you guys love it!! Wow, looks amazing. Did you just grill a steak and thinly slice it? Can you tell me what cut of steak you used? Hi! I did! I used a beef tenderloin, it is my families favorite. Let me know if you have other questions. Hope you love this and Merry Christmas! ? Thank you so much for the quick reply. I will google directions for cooking one! I’ve never cooked it as a tenderloin but I am going to give it a try. For some reason, I was going to have a second fondue pot out to cook the meat. Your way is so much better. I hope mine comes out 1/4 as good as yours did. Where oh where did you get the fondue skewers?? I need them this year! They are from Anthropologie, but they are old. Thank you!